My family (Dad, Mom and three brothers) occasionally loaded up the car and traveled around the state of Oregon during the summer, stopping to camp at various sites along the way. At one such campground in central Oregon, my brothers and I were chopping firewood in preparation for the evening fire. 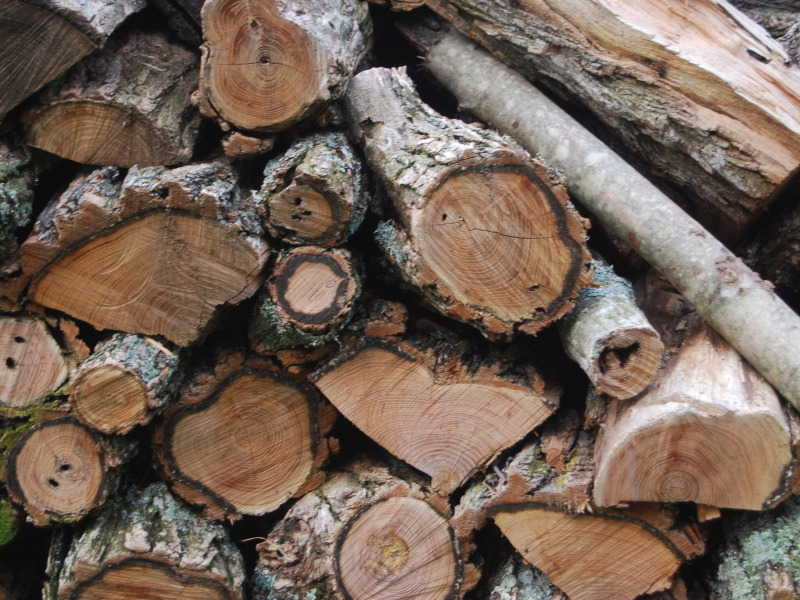 In those days the Forest Service supplied each campsite with a large pile of log rounds, cut in handy 16″ lengths, then left it to the camper to split the rounds from there. You know – sort of a wilderness experience for city-dwellers who wanted a taste of outdoor living. A camp ranger, whose job it was to mingle with the campers, answer questions, and give advice, spied our youthful attempts at woodsmanship and assumed we were in need of a savior. Or should I say he spied my mom, an attractive woman casually attired in shorts, sandals and a sleeveless blouse. Dad was calmly kicked back, hidden under the shade of an oak tree, quietly waiting for the scene to unfold. The ranger sauntered toward our camp, unbuttoning and rolling up his sleeves as if preparing to do something important – like brain surgery. Or a piano concerto. Brushing us lads aside with his left hand and winking at Mom with his right eye, he grabbed the axe and with a monstrous swing buried the axehead in a round which was located in the center of the pile. With such a violent thrust, we expected the round to explode into eight perfect slices of firewood. But nothing happened. Rangerman returned from his truck carrying a splitting wedge and a 12-pound maul – as if the raw, heavy steel he was about to employ would impress my mother even further. He deftly placed the wedge in line with the sunken axe and tapped it into place with the maul. Satisfied that it was properly aligned, he mustered the machismo of six men into one final, gigantic blow. I’m convinced the ringing of steel upon steel from that one decisive impact is still echoing off the walls of the Powder River Canyon. The wedge was now buried to it’s shoulders, with not a whisker of a crack in the wood. It was obvious to all, that with such an earth-shaking, pile-driving downward force, the wedge had become one with the wood. The stunned ranger was scratching his head with no more tricks (or bigger hammers) up his sleeve when my dad casually made his presence known. He gave the ranger a sideways glance as he approached the woodpile. The great man of the woods had been trying to impress my dad’s wife by splitting the still-green stump of a once-mighty oak…with it’s roots still firmly affixed to the earth. He just sort of slithered back to his truck and disappeared. As the dust from his quick departure settled to the ground, my mom drew lovingly into the security of the gentle yet protective (and very capable) arms of her true hero – my dad. I’m finding it’s never too late to record the memorable moments of our lives. You have a wonderful gift of writing too. Be sure to leave an account of those moments for your children. I have not heard this story until now. It is a gift. Thank you. This entry was posted on July 24, 2010 at 9:35 pm and filed under reflections. You can follow any responses to this entry through the RSS feed. You can leave a response, or trackback from your own site.